Whether you’re running late to work and need a quick and easy breakfast, trying to consume your daily recommended fruit & veg intake or simply need an energy boost, smoothies are always a great option! Not only do smoothies prevent your fruit & veg going to waste, but they can help to improve digestion, aid weight loss, detoxify the body, strengthen your immune system and supply your body with the correct fuel for an instant energy boost! 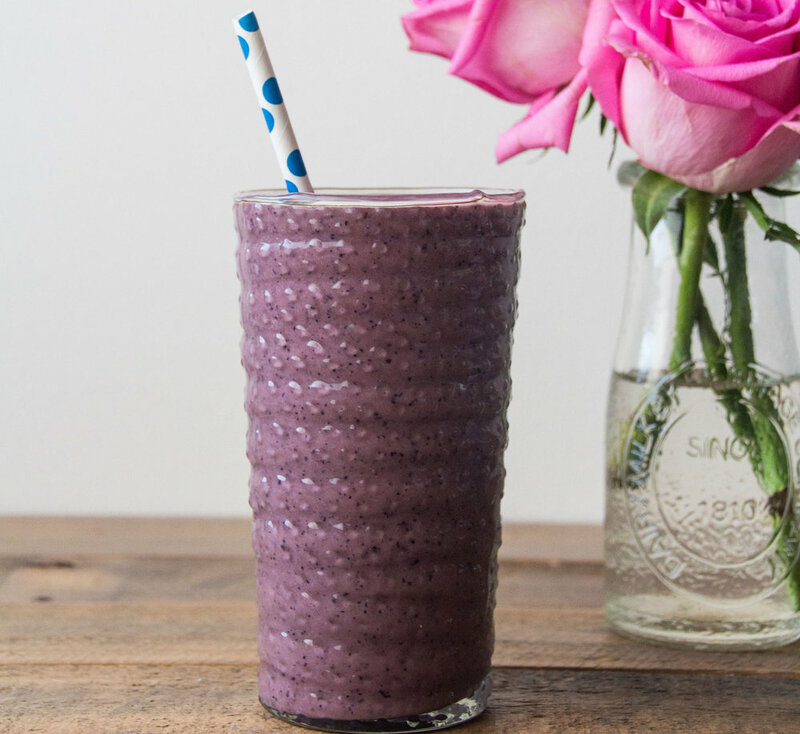 Believe it or not, we don’t just love this smoothie for it’s sassy pink colour! This vibrant pink colour is a result of the red pigments from the blood orange and red beetroot, which combined with their high Vitamin C are powerful antioxidants and play a role in the body’s detoxification process. 1. Scrub the beetroot and slice into quarters or grate if you don’t have a high powered blender. 2. Peel the blood oranges, half crossways and remove any pips. 3. Halve the avocado and scoop out the flesh. 4. Add the beetroots, blood orange flesh, avocado flesh, raw honey, vanilla extract and water to the blender. 5. Pulse a few times and then blend until smooth. Next up is a classic green smoothie by the wonderful Madeleine Shaw! Green smoothies are the quickest most convenient way to get your dose of raw veggies and will provide you with the ultimate energy boost, get your skin glowing and they’re super easy to digest! This smoothie is blended with coconut water so will also keep you nice and hydrated throughout the day. your avocado and pop them into a blender. 3. Add the coconut water, and blend until smooth! Lastly is the perfect Summer smoothie! This delicious, sweet and refreshing smoothie is made with hemp seeds - an excellent source of essential fatty acids including Omega 3 & 6. Hump seeds are a great source of protein but are much more digestible than meat, eggs, cheese, cows milk or any other high protein food. 1. Cut the peach flesh of the stone and pop into the blender.